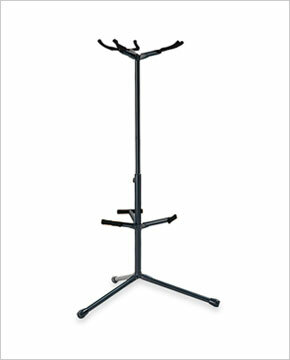 Value priced three guitar stand holds acoustic and electric guitars. No parts to remove, folds for easy transport and storage. Perfect for performance or showing your guitar collection. Tripod base provides stability. Satin rubber on all contact surfaces. Durable black powder coated finish.